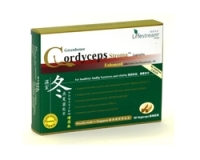 Specially formulated to contain the unique benefits of Lifestream Greenhouse Cordyceps Stroma™ together with the goodness of Decaffeinated Green Tea Extract. With the addition of Green Tea Polyphenols - 98, its efficacy and antioxidant properties are enhanced to improve nutrients absorption, support general well being and all bodily functions. 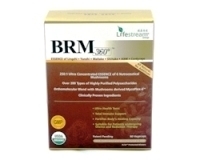 Take 3-4 capsules two or three times daily or as advised by qualified healthcare practitioners. Blister-packed for optimum freshness. Please store it in a cool dry place away from direct sunlight. Refrigerate if possible.